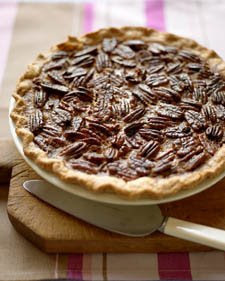 Put pecans in bottom of pie shell. Mix remaining ingredients and pour on top. Bake at 350 degrees for 45-55 minutes. Beat cream cheese, peanut butter, and powdered sugar until well blended. Fold in the Cool Whip. 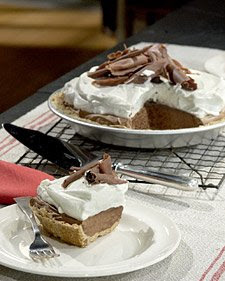 Pour into The graham cracker crust and chill until firm. Top with the chocolate frosting and chill again. Very rich dessert, so cut into 10 or more slices. 2. put into bowl with 1/3 cup sugar and 1 Tbsp lemon juice (1 lemon). Stir well and put in fridge for one hour. 3. 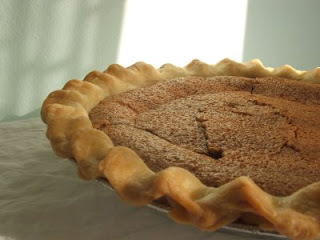 Cook pie shell and let cool. 4. Drain all liquid off peaches mixture and reserve liquid in a one cup measuring cup. Set peaches aside. 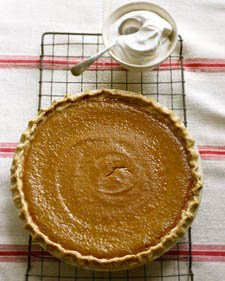 6. in a pan combine ½ cup sugar and 3 Tbsp. cornstarch. Mix with water and juices. 7. Cook on high heat until boiling. Will thicken. 8. Add 2 Tbsp. butter, pinch of salt, and 1/8 tsp. almond extract. 9. Put peaches into mixture and stir. Dump into pie shell.